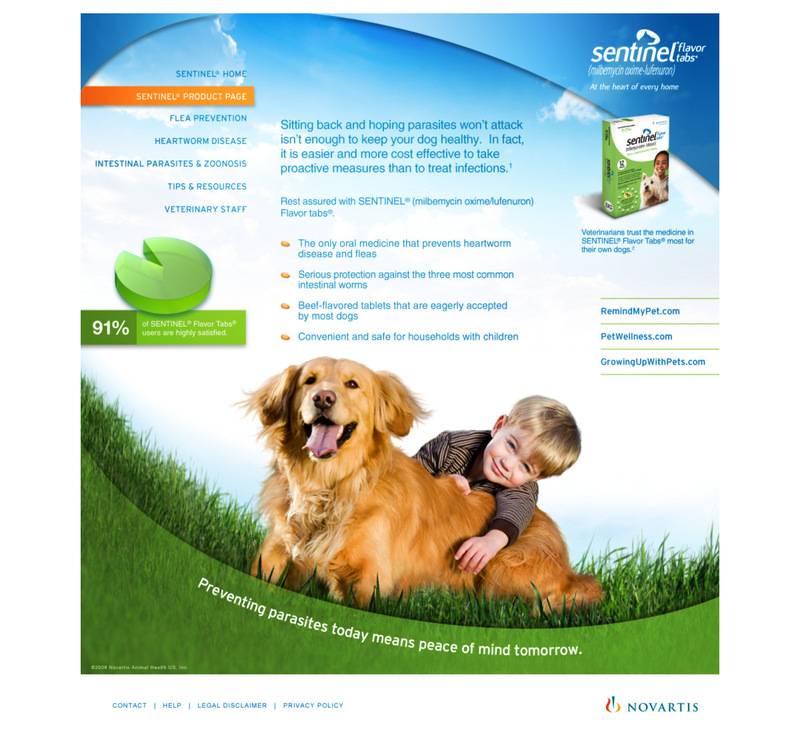 WEBSITE DESIGN / ART DIRECTION / PHOTO ILLUSTRATION & COMPOSITING – Sentinel consumer and veterinarian sites. The Sentinel site historically focused on infestation, disease, fear and tragedy. Consumers were repelled by the approach, missing the goals to educate, inform and connect. Trone asked us to design the website, re-crafting the message and styling to embrace the joy and passion that dog owners have for their pets. The new message focuses on the compassion and desire to protect your trustworthy companions as members of your family. The blue and green arcs were strict brand dictates across every medium. 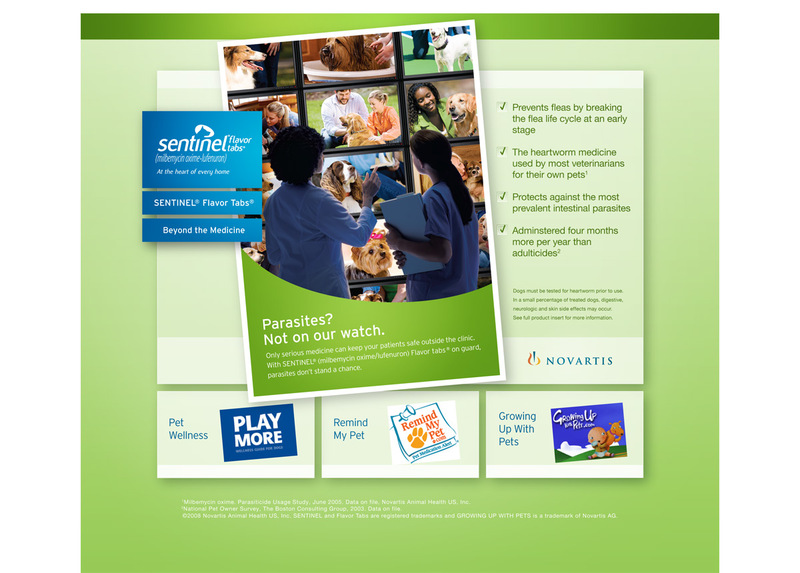 The solution turned a design challenge into a strong visual asset that reinforced the brand. We transformed a series of lifestyle and studio shots with a bit of Photoshop magic. We relit each photographic element, compositing the girl, dog, sky, toys and grass from stock shots we sourced, completing the project from concept to presentation and final art in record time. 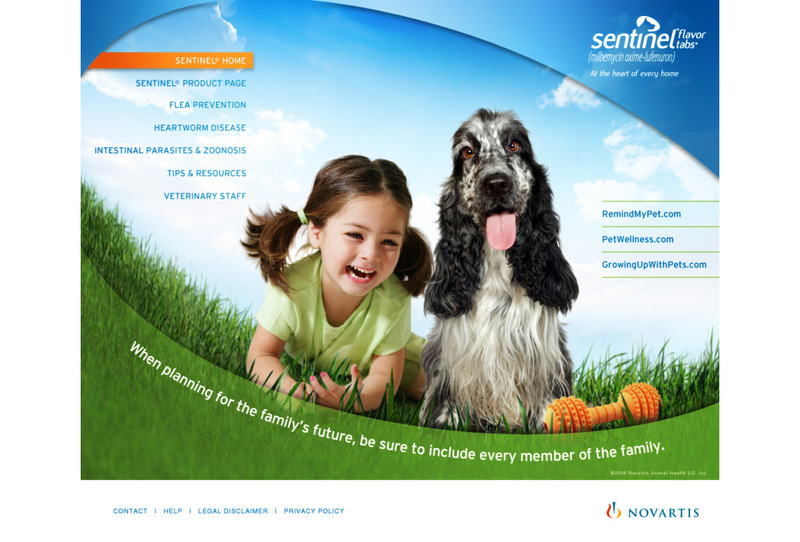 Sentinel loved the design and even adopted the fresh approach and image styling across other areas of the campaign.